The collective human footprint on Earth’s environment may be growing larger every year, but here’s some good news: so is our knowledge of what we can do to make things better. If you’re a world leader (…reading this blog…it could happen…) then please get to work reversing global warming; I suggest a planet-wide switch to organic agriculture. As for the rest of us, we can start quite literally in our own backyards. How eco-friendly is yours? The environment outside each of our doors is (or was once) inhabited by a complex web of interdependent life forms. Bacteria, fungi, insects, reptiles, amphibians, birds and mammals evolved slowly, over periods of time tens of thousands to millions of years long. Consider what happens to insects that evolved in your specific region when their habitat and food supply were replaced by pavement, buildings and alien plants brought there from the other side of the globe. What about the native birds that used to eat those native insects and plants? Each species forms a strand in the interconnected web of life. Citheronia regalis, the Hickory Horned Devil caterpillar (also known as the Royal Moth) needs trees in the walnut and hickory family to survive. We can help strengthen this web by planting native flowers, vines, shrubs and trees in our gardens. Native plants offer the specialized support needed by native insects, birds and other creatures in our environment. All the plants in your yard, native or not, will benefit from good soil. A simple way to help provide that is to apply a basic mulch of wood chips around them. Aside from the benefit of less lawn to mow, creating mulched areas helps to retain moisture and mediate the temperature of the soil around your plants’ roots. Wood chips gradually break down, thanks to bacteria and fungi, adding nutrients and a fluffy, sponge-like texture to the soil. In addition, they offer habitat to insects, which are in turn a major food source for birds. Many tree companies are only too happy to dump a truckload of wood chips in your driveway free of charge – but you’ll need the muscle-power to move it from there. (Jessica Chimes In: I recommend Hutch’s Tree & Property in Lovell, Maine) Tired of bagging up leaves in the autumn? Here’s an oft-forgotten secret: leaves are nature’s original mulch! Rake them into yours. 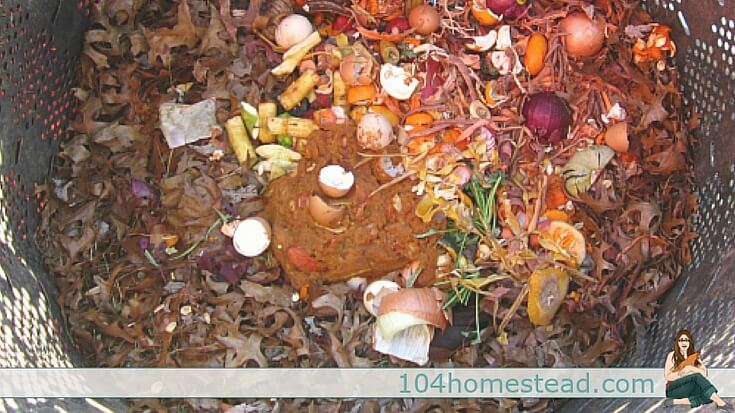 Composting is a simple method of allowing organisms in the soil to convert plant matter that would otherwise be thrown away (leaves, lawn clippings, even banana peels) into rich, useful soil. At its most basic, you simply pile up the plant matter in your yard and wait. Of course, most people want faster results, so they turn the pile every few weeks with a pitchfork or shovel, adding air to the mix, thereby speeding up the microbial breakdown process. It also helps to alternate layers of materials: browns (dead leaves, for example) than greens (fresh lawn clippings, or kitchen vegetable trims), then browns, then greens…. Onion peels, tea bags, egg shells (rinsed thoroughly), apple pulp, and other kitchen trimmings will be mixed into the leaves in our compost bin. Never add animal matter (meat or bones), cooked food, or the contents of your pet’s litter box. These can grow harmful bacteria instead of beneficial. Composting bins can be made simply out of chicken wire or by lashing together wooden pallets. Some municipalities offer free compost bins to residents. We keep two compost bins behind the shed. One is the working bin, into which we turn new materials; the other holds finished compost, ready for use. 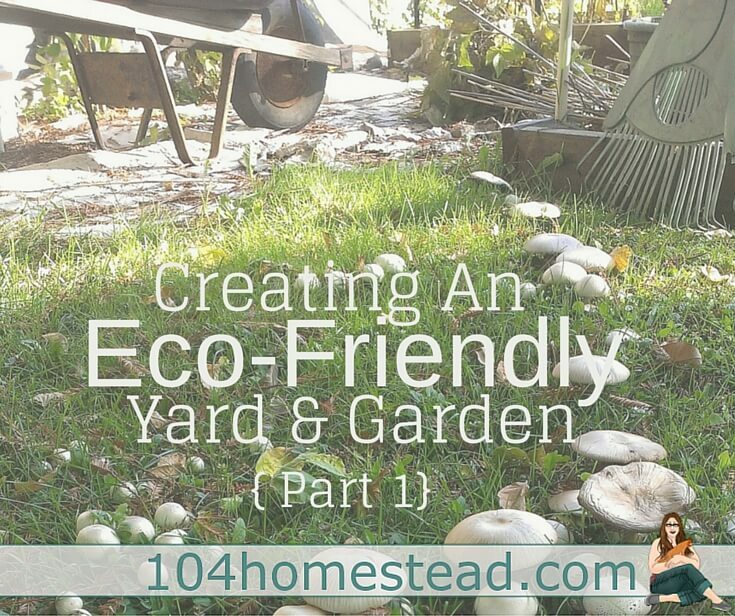 We often mistakenly consider our backyards to be eco-friendly just because they are outside and the grass is growing. 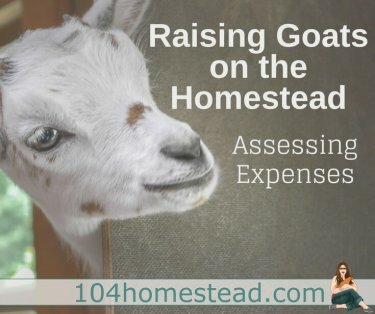 However “green” is much more than just a color and it implies how we use our resources, which plants we are planting, how we maintain the plants, and how we are treating the lawn. Our homes are where we impact the environment the most and that’s where we should take special care of the choices we make. Organizing and maintaining a backyard requires you to store some equipment and to keep it clean and usable. 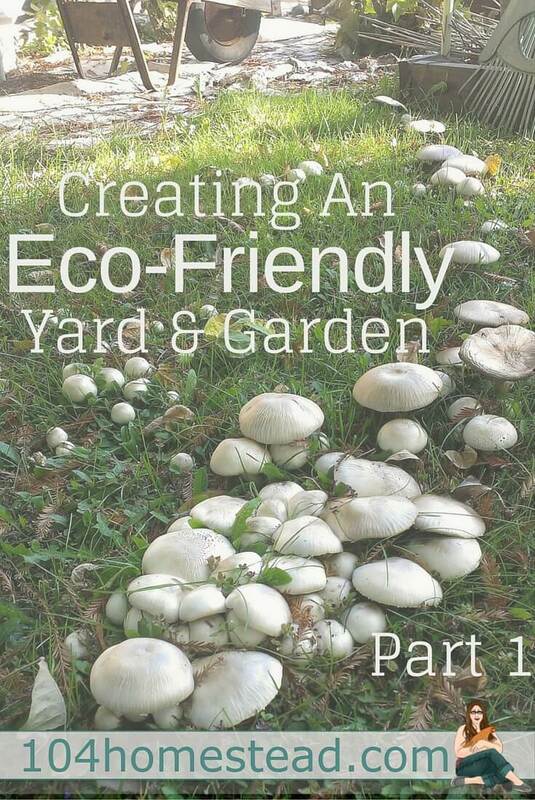 The amount of the equipment needed usually increases over time as you start experimenting with the yard. The best way to keep everything neat and clean is to install a shed such as one created by the Best Sheds http://www.bestsheds.com.au/ .